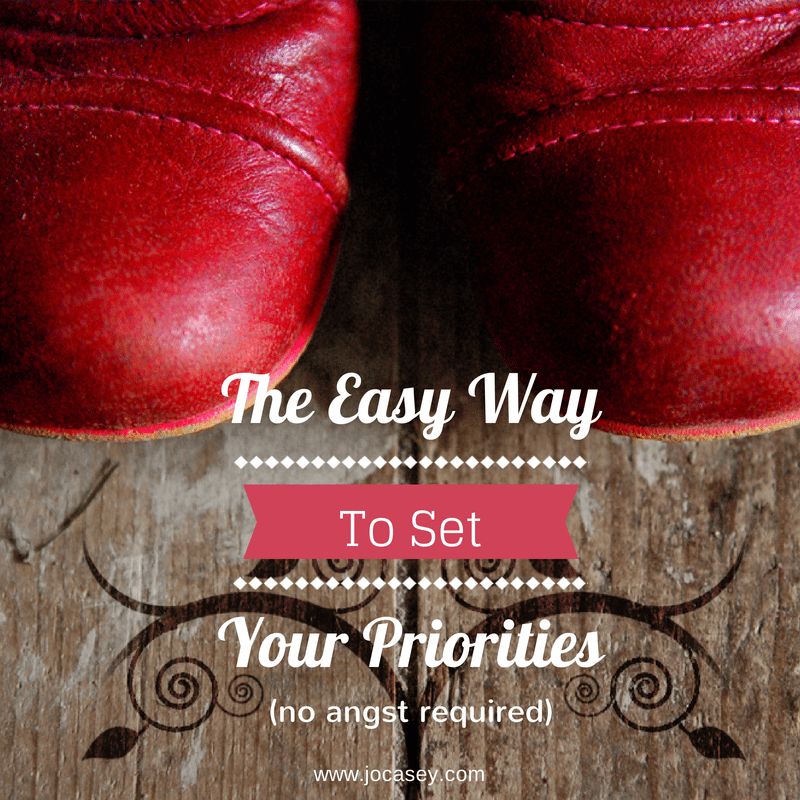 Here’s the easy way to set your priorities: Be ruthless. Do you struggle with the concept of being ruthless? I know I did. It’s a world that doesn’t sit well with us heart on our sleeve, empathic, nurturing, ‘wanting to make the world a better place’ types. But in order to live a bold, passionate life filled with wonders and possibilities we have to create room for it. And that means being ruthless with our time. Make Sure That Whatever You Say YES To Deserves It Tweet This! It’s easy to keep busy. Easy to feel like you’re making forward progress because you’re in motion. It you want to take bold steps towards your goals then you also need to be really conscious and deliberate with your time. The temptation is to start doing MORE – more bold steps towards achieving what you want. Note: this does not include doing less relaxation and self nurture – those activities are a vital and non-negotiable part of living boldly. *when I did this exercise these were all things I discovered I was doing that felt like they were relaxing and nurturing but in fact weren’t when I really examined them. They were each sapping my time and energy, adding nothing positive in return. I’ve drastically cut the amount of time I spend doing them and the results have been lovely – I’m calmer, more centered, in control and relaxed. Focused time, momentum, genuine comfort, peace, contentment, exhilaration, optimism, strength, confidence and self-trust. More quality time with yourself and your loved ones. Spend some time at the end of today listing how you spent your time. What activities did you do? Look at your list and make a note of which activities you found positive, nurturing and lit you up inside, and which you found draining, negative or neutral. we can all benefit from some conscious activity tweaking from time to time. Here are some questions to help you decide what you would like to be a priority and what you’re going to do less of. What can you change to ensure that your time is spent in support of your ultimate goals? What can you trim from your life that’s adding nothing to your goals? How much genuine nurturing, soul feeding time are you having? How can you get some more? Which activities leave you feeling more alive, excited and vitalized? Which leave you feeling dull and tired and drained? What 3 actions can you take this week to nourish and support your boldness and desired goals? What 3 things can you stop doing this week that are dragging you down and sapping you dry?